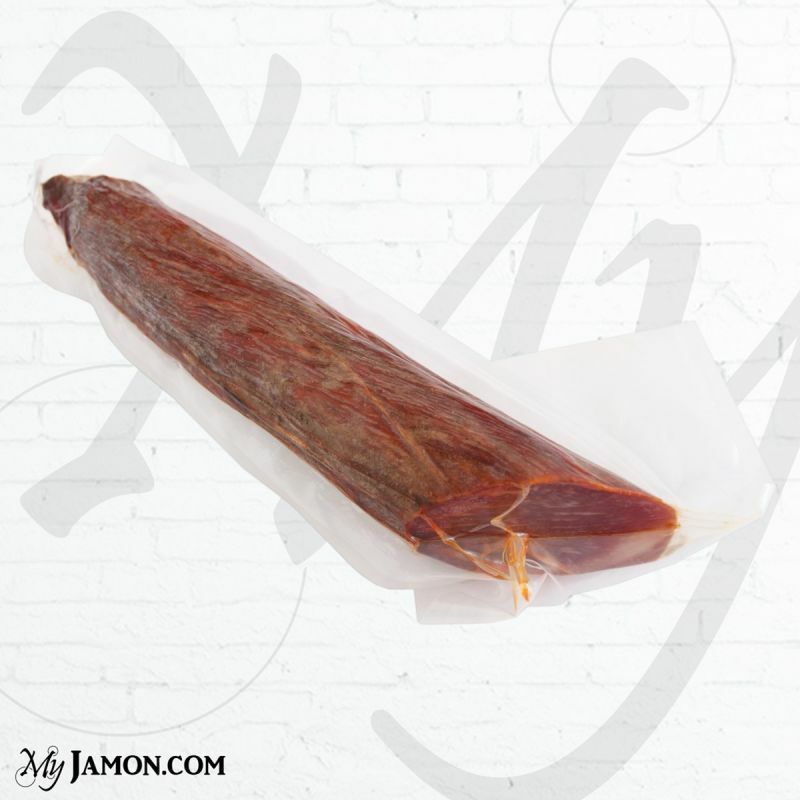 Benito Garcia Iberian cebo loin is considered one of the most noble of the Iberian pig. This type of sausage belongs to a pig who spent a part of his life in freedom, and in the end he was fed battery. 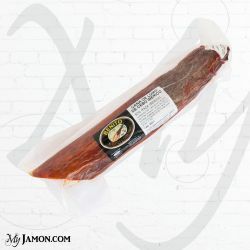 About seasoning we can say that after being marinated in the warehouses Jabugo, the product goes to macerate for a period ranging between 3 and 5 days, after which they are stuffed into natural casings and left a couple of hours in a wooden bell burning very slowly with oak charcoal, until the product begins to dry up and gives off a delicate fragrance.